By now, I think it’s become clear that I have an real affection for Mexican inspired recipes. The combination of spices, chiles, herbs and fresh veggies makes for really delish food. 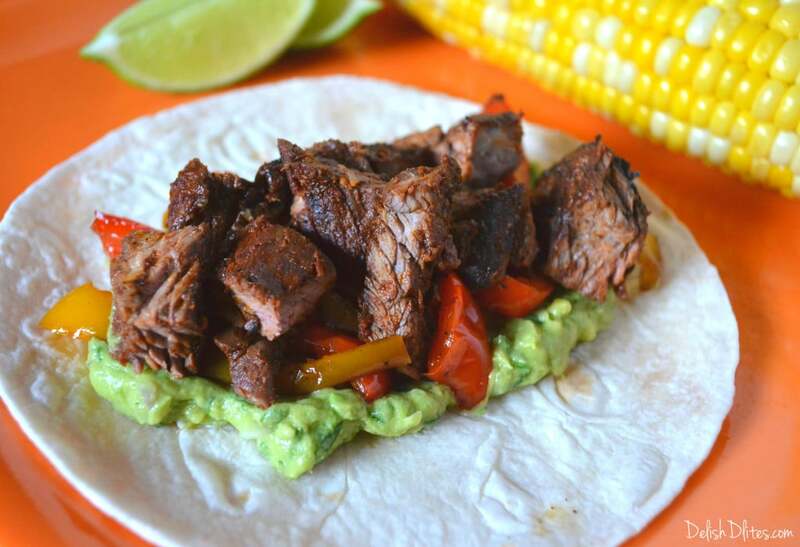 More than anything, I absolutely looooove fajitas, especially steak fajitas! 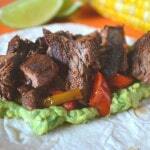 This ancho chile rubbed skirt steak is my favorite fajita recipe, so you know it’s good. 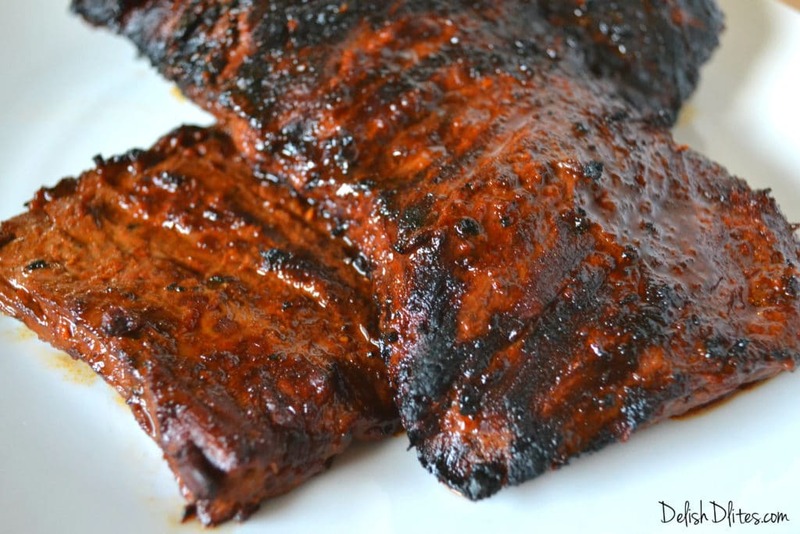 I use dried ancho chiles to create a gorgeous, brick-red marinade for the steak, then grill it to perfection. In case you’re wondering, ancho chiles are just dried poblano peppers, which are the peppers most often used for chiles rellenos. 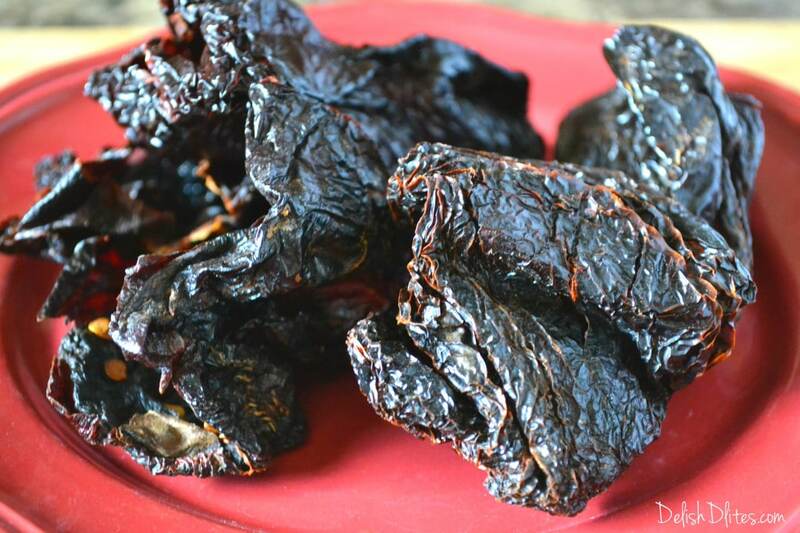 When the poblano is allowed to ripen to a red color and dried, they become anchos. They’re very mild on the chile scale and have a sweet, fruity aroma. They’re sort of like a spicy raisin. Remove the seeds and the stems from the ancho chiles, then cover them with hot water. Allow them to sit for 15-20 minutes, until they’re soft. Drain the peppers. 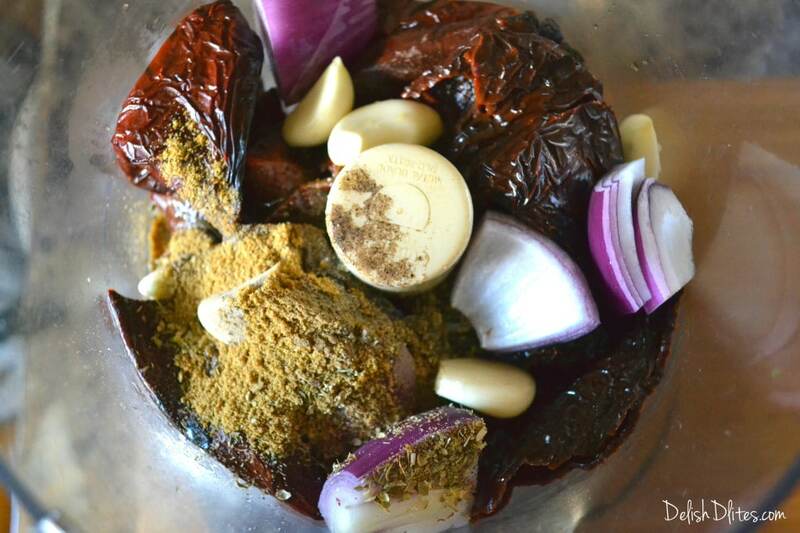 Place the anchos, Tobasco, black pepper, cumin, oregano, garlic, onion and oil into a food processor. Process the mixture until it becomes a smooth paste. 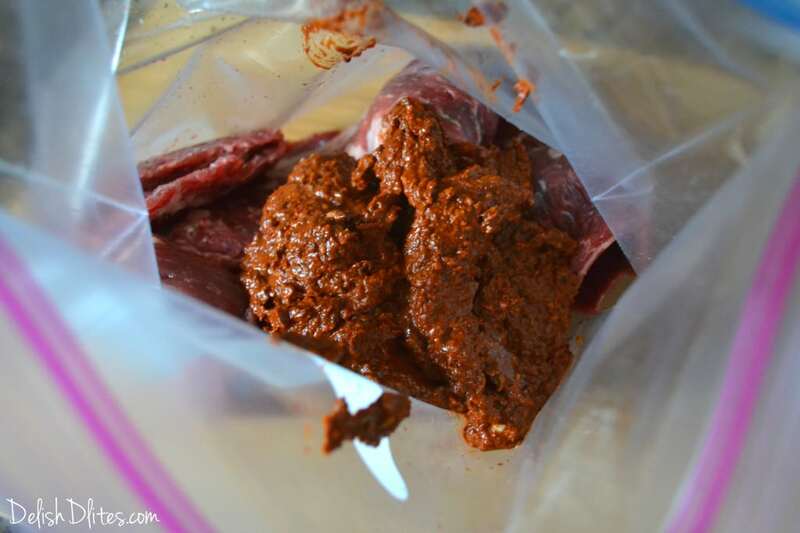 Place the skirt steaks into a gallon sized zip-top bag and pour (or spoon) the marinade onto the meat. It’s going to be a thick paste, so it may not pour easily. Close up the bag and work the mixture around, making sure it covers all the meat. Refrigerate the marinated beef for at least 1 hour, or up to 24 hours. 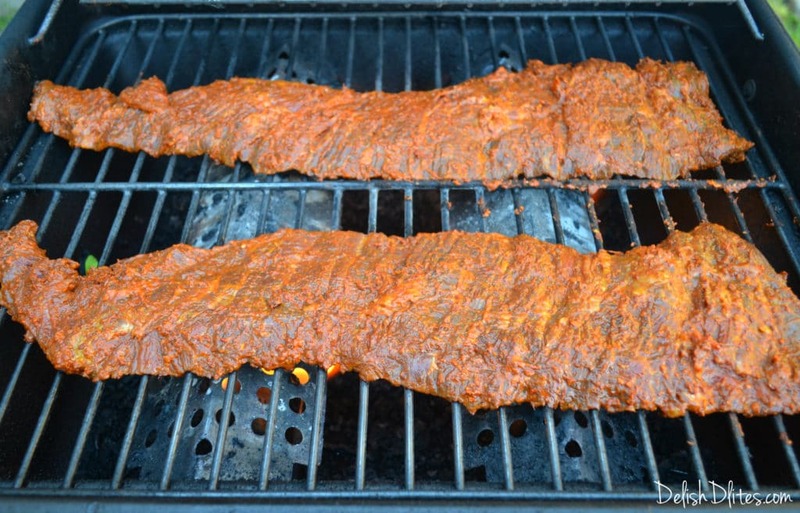 When you’re ready to grill the skirt steaks, remove them from the bag and wipe off any excess marinade. You want a thin layer of marinade to cover the meat. Salt the meat to taste, I use about 1/2 teaspoon per pound. Heat your grill to about 400 degrees, or if cooking inside heat small amount of oil in skillet or grill pan over high heat. Grill meat about 4 minutes per side, depending upon thickness, until done. You want to get a nice char on the outside of the steak. Let the steak rest for 5-7 minutes, then cut it up into strips or cubes, making sure to cut against the grain of the meat. What does that mean? 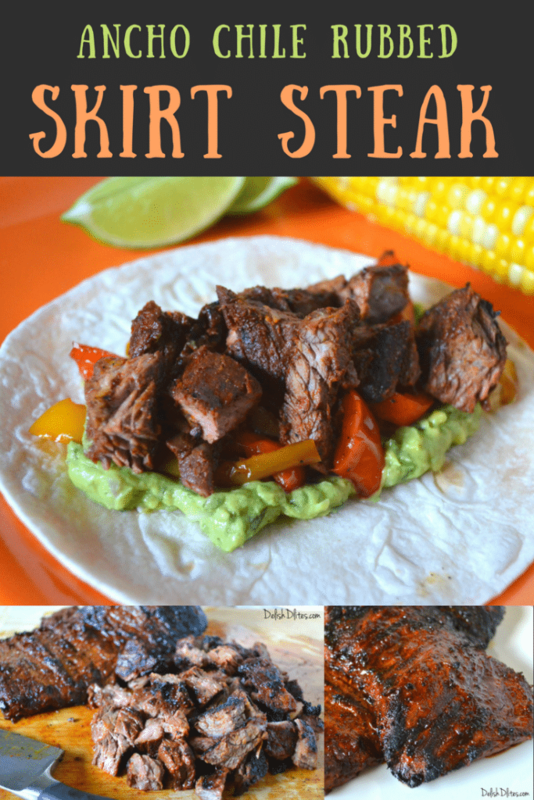 Look carefully at the skirt steak in the picture. Lines are running from left to right along length of the steak. If you slice this steak in the same direction as those lines, you’ll have to chew through the fibers. Whereas if you cut across the lines, the knife will have already done that work. So to keep the steak tender and not chewy, we cut against the grain. 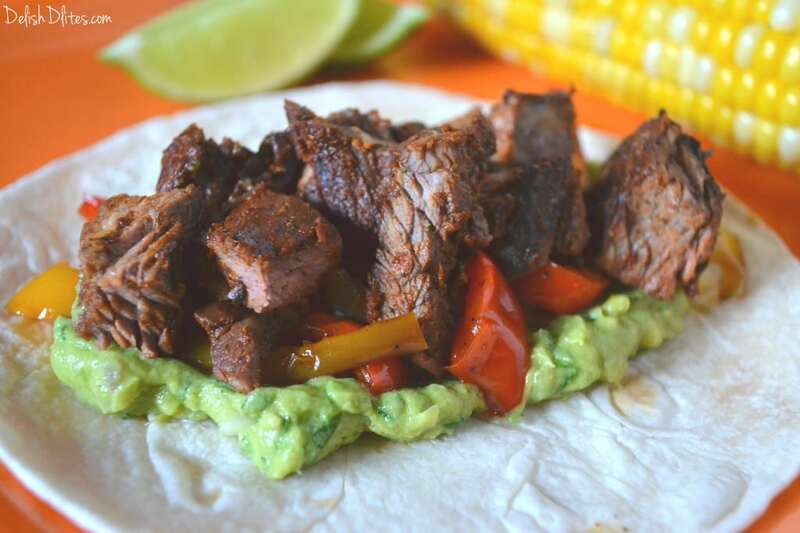 You can serve this spicy, juicy ancho chile-rubbed steak with rice and black beans, or with your favorite fajita toppings. It’s so delish! Remove the seeds and the stems from the ancho chiles, then cover them with hot water. Allow them to sit for 15-20 minutes, until they're soft. Drain the peppers. 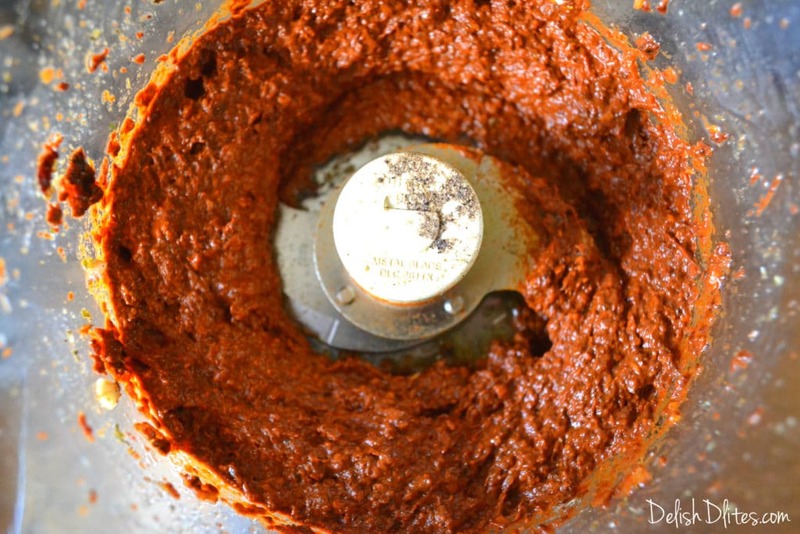 Place the anchos, Tobasco, black pepper, cumin, oregano, garlic, onion and oil into a food processor and process into a smooth paste. 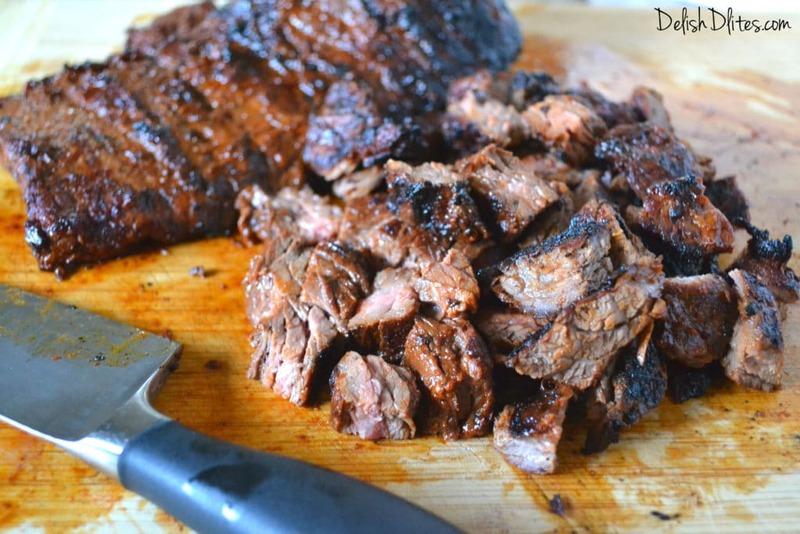 Place the skirt steaks into a gallon sized zip-top bag and spoon the marinade onto the meat. Make sure to fully cover the meat, then refrigerate for at least 1 hour, or up to 24. 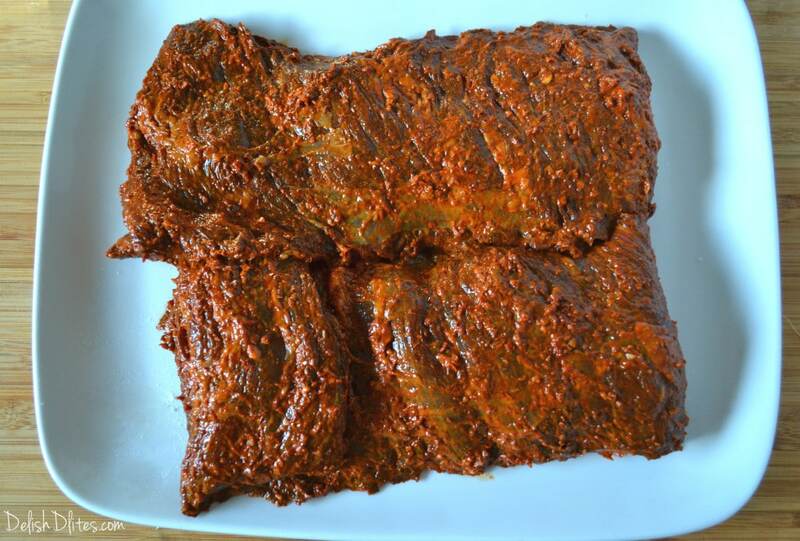 Remove the meat from the marinade and scrape away any excess. Salt the meat (I use about 1/2 teaspoon per pound). Heat grill to 400 degrees F, and grill for 3-4 minutes per side, turning only once. Total cook time should be about 6-8 minutes, depending on your desired doneness. Allow the steak for rest for 5-7 minutes before carving into strips or bite-sized chunks. Heat a grill pan or large skiller over high heat and brush the pan with a bit of vegetable oil. Cook the steak for 3-4 minutes per side, turning only once. Total cook time should be about 6-8 minutes, depending on your desired doneness.